Calderdale Council chief executive Merran McRae signing the book of condolence at Halifax Town Hall to the victims of the Manchester bombing. Calderdale Council has said residents should not be alarmed if they see armed police and soldiers on our streets. Prime Minister Theresa May has raised the terror threat level in the UK to ‘critical’, which means an attack is expected imminently, following the bomb attack in Manchester on Monday. The council has said there is no specific intelligence to suggest there is a threat to Calderdale. Meanwhile a book of condolence is open for the public to sign at Halifax Town Hall. In statement, Calderdale Community Safety Partnership said: “Our deepest sympathies and thoughts are with everyone affected by the horrendous incident in Manchester on Monday May 22. “In response to the incident, the Prime Minister has raised the UK’s terror threat level to critical, which means that a further attack may be imminent. “Due to this threat level, across the country people may see additional armed response police officers and armed military personnel. This is a precaution to keep the public safe. 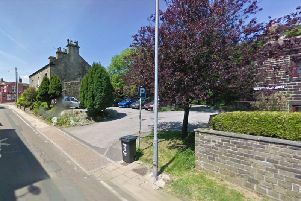 “Don’t be alarmed if you see them here in Calderdale – this is a national response as part of a pre-arranged plan and there is no intelligence to suggest that there is a specific threat to us here. “There may also be increased police presence at events that would not usually require this – again, this is precautionary only. “We have robust partnership arrangements in place and continue do everything we can to keep people safe and provide community reassurance. “For example, the Council is supporting schools, and its neighbourhood coordinators are out in the community offering reassurance and are ready to discuss any local concerns. “You can help by staying calm, being vigilant and reporting any suspicious activity to the confidential anti-terrorist hotline on 0800 789321. “As a mark of respect for the victims of the attack in Manchester, Calderdale Council continues to fly the Union Flag at half-mast at Halifax Town Hall.